I hope everyone has a wonderful week as we usher in Autumn’s arrival! Peace. Thank you Debi! I feel it should be brighter. It’s hard to imitate the gorgeous colors designed by the Master Artist! I enjoy life whenever I can, but this weekend was a trip. All will be explained later lol. Have a great day my friend! Thanks, Kathy! This one was the most challenging of any I’ve tried so far. Thanks! I may have to drag out my full palette every night to have a prayer of capturing the vibrancy in these fall leaves though! Thanks! It’s a fun project. I love the orange leaf! It just makes me happy. Carry on leaf painter. Have a happy day. Thank you, Charlie, you kind soul! I do love that brightening effect! Beautiful natural feel to this leaf Laura. Love the softness, yet Autumn crisp. Thanks, Mary! I’m enjoying the study of leaves. Beautiful color! 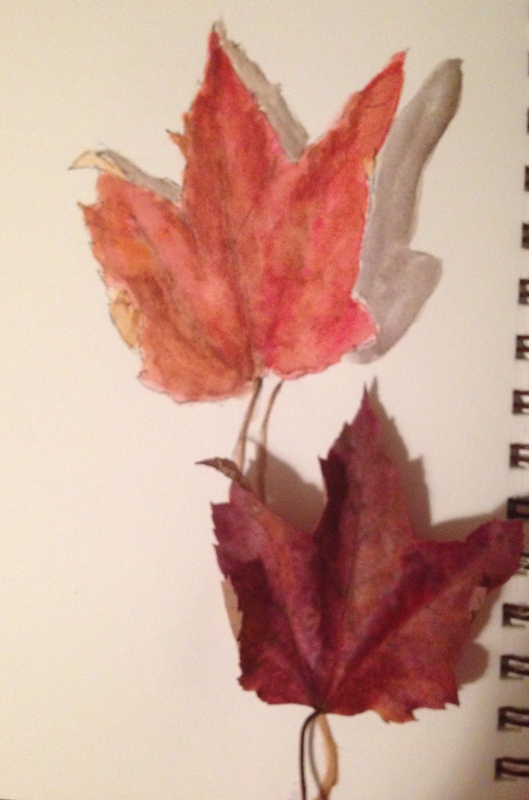 I am also excited to see the fall colors emerging through your art! Thanks, Kari! It’s great mixing experience, for sure! nice! glad you’re having fun doing leaves. It is fun! A nice study. I think work is highly overrated! lol! Thanks, Snehal! Now if I could only paint like YOU, then that would be awesomeness. :))) Are you going to continue your daily painting after your challenge? Beautiful rendition….perfect the way it is! Thanks, Rebecca! That means a lot coming from a superb painter like you! Lovely leaf, nice blending of color and use of shadow. Thank you once again, BB!